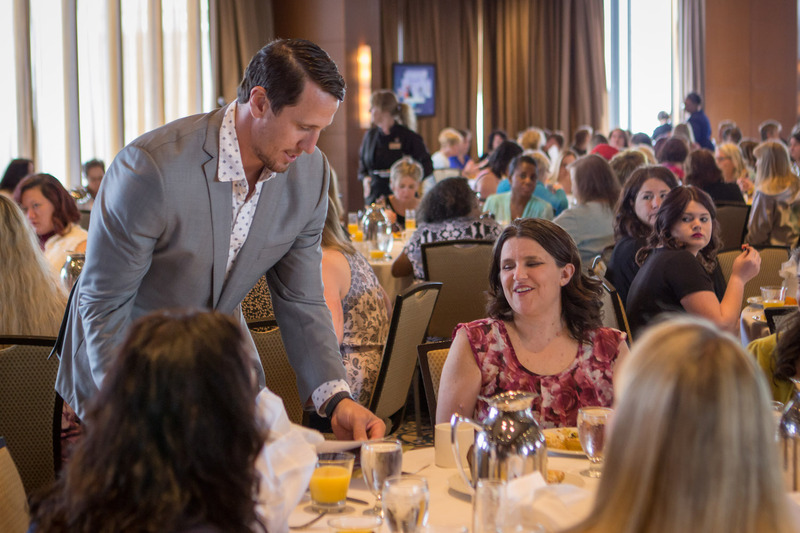 Minneapolis, MN (Sunday, April 17, 2016) – Vikings’ Chad Greenway welcomed over 200 women to this annual TendHER Heart Brunch, on Sunday morning. 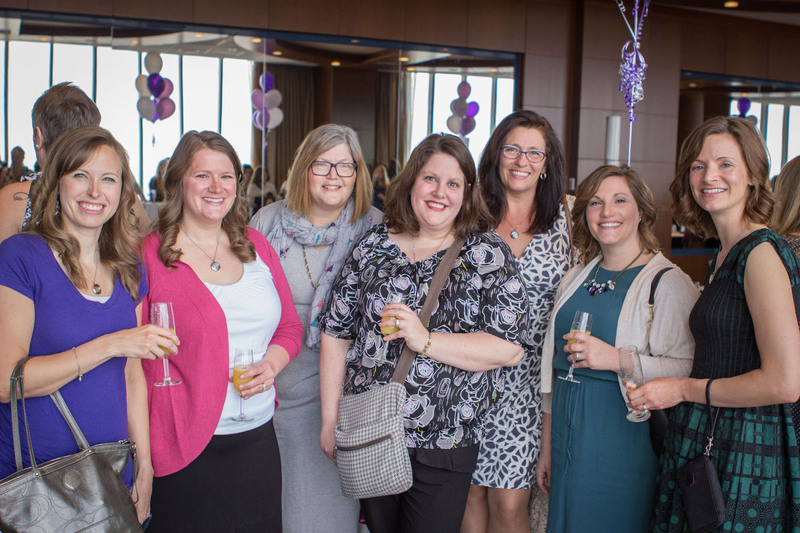 TheTendHER Heart Brunch honors mothers of chronically and critically ill children for the sacrifices they make in caring for their ill children. This year, the group gathered at The Marquette Hotel to take a minute for themselves and to enjoy each other's company and support. The brunch gives mothers a chance to bond, commiserate and share their personal stories. The morning started off with a special Pampering Hour that included access to hair stylists, brow specialists and nail technicians. Women treated themselves to these services while sipping mimosas and catching up with old friends. As more women arrived, Greenway welcomed back familiar faces and met first time attendees. During the brunch, Greenway addressed the room and expressed his gratitude and support for the dedication each mother has for their family. After those words from Greenway, the women had a chance to pick up a microphone and share what is happening in their lives. Between tears and smiles, the mothers gained life long friends and strengthened their support system. Over the years, attendees of the TendHER Heart Brunch have developed a support system that exists year round. 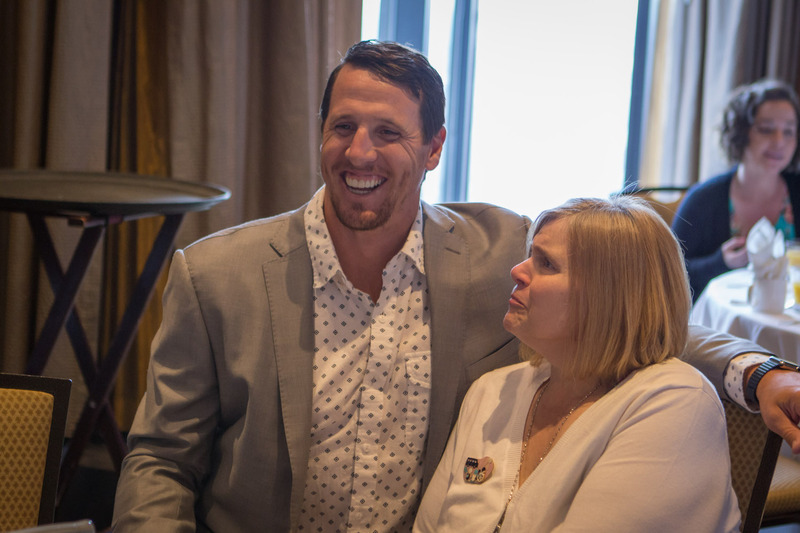 Chad Greenway’s Lead the Way Foundation set up a Facebook page that provides a platform for mothers to ask questions, share news and give each other a shoulder to lean on. Through the page, the topic of how to stay physically active while devoting all of your time to your children has surfaced. Jenni Greenway helped provide a solution to that challenge by designing a quick, effective workout that can be done virtually anywhere. Chad and Jenni distributed the workout plans to all guests at the TendHER Heart Brunch. In addition to the workout plans, each guest left the brunch with a fitness bag, resistance bands, a SweatyBand brand headband, a special piece of jewelry from South Hill Designs and more. With one more season as a Minnesota Viking, Chad Greenway is looking forward to continuing to serve the community on and off the field. The primary focus of the Lead the Way Foundation is to provide critically and chronically ill children and their families throughout Greater Minneapolis with daily support and life changing experiences.